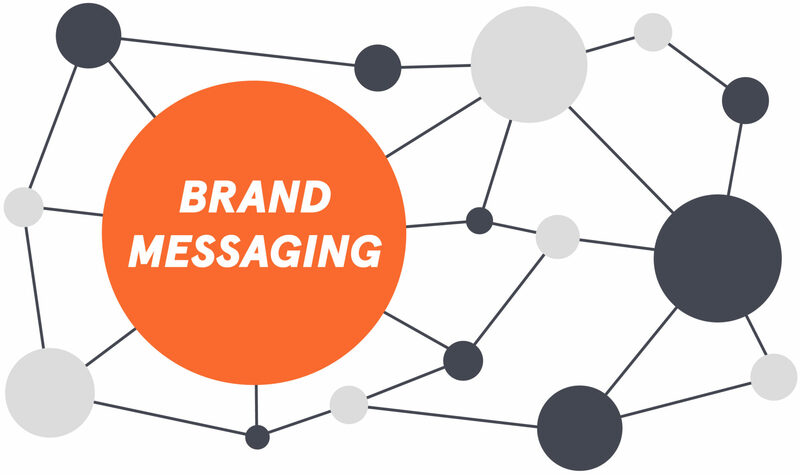 What is a “brand messaging” framework? What happens when someone asks, “What does your company do?” Is your “elevator pitch” plain vanilla or is it compelling enough that listeners suddenly want to hear a lot more about what you do? Every brand needs a narrative — a clear message that tells your audience who you are and how you’re different. To get your target audience to sit up and take notice, this story needs to be easy to understand. It needs to be persuasive. And, as the following taglines demonstrate, it needs to resonate with whatever audience you’re trying to reach. A value proposition that clearly identifies your company’s measurable or demonstrable value to your potential customers or clients. A positioning statement that articulates how your company fits into the overall market and how you are different from your competitors. Brand pillars that capture and express what your company stands for, what you believe in, and what you do well. Key benefits that summarize what you offer and why your product or service matters. Together, these aspects of your messaging can help you tell a consistent and compelling story across all marketing channels. It is this story that gets you noticed, builds a greater bond with your target audience, and generates results. But how do you cut through the clutter of similar-sounding competitors to create a compelling messaging platform? Think about the core purpose of your business: why does your organization exist (hint: it’s not to make a profit) and why you do what you do? Your goal is to uncover the one big idea that sets you apart from your competition — in other words, your unique selling proposition (USP). Your USP is a simple statement that expresses the emotional power of what you do — and it provides the foundation for a clear and consistent way to describe who you are and what you do every time you’re in front of a client. It’s the teaser that draws people in to hear the rest of your story. 2. Get inside your clients’ heads. Your brand lives in your clients’ minds. Its power is determined by your ability to make a connection between your core values and those of your clients. Think about your ideal client. What drives that individual or organization to buy your products and services in the first place? And what keeps them coming back, year after year? The more context you can add to your understanding of your clients’ motivations, needs, pain points, and interests, the easier it will be to create brand messages that inspire them to do business with you. Once you understand what your target audience cares about, their pain points, and their favorite product features, you can begin to think about the brand messages that will resonate with them. That means shifting your focus from the features and benefits of your product to the needs and wants of your clients. Something powerful happens when you start telling the story of who you are and why your services matter in a way that engages prospects and clients from their perspective. Your messaging becomes sharper and more compelling. Every person in your organization is aligned with a common purpose. And, above all, your clients begin to talk about you in ways that matter. Is your brand message saying something different from your competitors? Are your messages simple, clear, and easy to understand? Are they memorable? Do they connect with your target audience? And are they compelling enough to drive your audience to action? The brand messages you use to describe your company are essential to your success. They shape the way people think and feel about your organization. And, most importantly, they provide the reasons that prospects and clients will choose you over your competition.